We all compete in a brand-saturated marketplace, so to sell effectively against intense competition, floor covering retailers must become masters of brand strategy and all that entails. Go to Market to Win will engage attendees in learning the secrets from top brand experts in the field of marketing. Sessions will explore the future of floor covering retail in light of today’s customer expectations, digital trends and best-in-class customer experiences; how to differentiate from the competition through the use of tools and techniques for floor covering retailers, and examples of how successful retailers win in the marketplace and how you can, too. Go to Market to Win will give you the keys to driving your store brand, share the secrets to compete effectively with much larger competitors, and give ideas and techniques to ramp up your marketing through a strong brand ... yours. Is it possible to be competitive with Amazon or the Big Boxes? How can I stand out and build a loyal customer following? What can be my best marketing strategy to win? Retail Trends: Finding the Edge to Win will showcase how floor covering retailers can thrive in the digital universe where customer expectations are constantly evolving. Attendees will secure game-changing, real-world examples of what a retailer needs to know to move at the speed of the customer and achieve exponential growth. How do we apply these expectations to attract flooring customers? If we can buy flooring like we buy other products on Amazon? What an Amazon's offerings look like? Alberto is the Founder and Chief Growth Strategist of REACT, a new independent consulting firm based in New York focused on growth. He helps startups, and established businesses achieve exponential growth through best-in-class customer experience. Alberto has 15-years of expertise driving top-line growth for B2B and B2C clients in the U.S. and Latin America. He is a former Head of Engagement Strategy for Ogilvy NY, Head of Experience Planning at RAPP NY, and Head of Digital Strategy at Edelman NY. He is passionate about culture, technology, and data, with extensive experience in bringing data and creativity together to develop experiences that drive business growth. 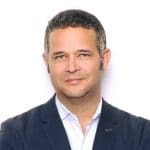 Alberto holds a Master in Economics Policy from Columbia University, an MBA in Operations Management from Loyola University Chicago, and Master in Integrated Marketing Communications from Northwestern University. Retail Brand Leadership will share specific fundamental models and case studies to help floor covering retailers define their unique value and set a course for brand leadership. It also will provide a close look at the most important tools and techniques for differentiation in the flooring category. The session will help the audience think through how to build their brand in an age of disruption, giving them a new level of confidence in their brand’s competitive future. Derrick has spent the past 20+ years helping organizations release the full potential of their brands. His experience is as extensive as it is diverse, encompassing the disciplines of brand strategy, advertising, sales promotion, and public relations. At The Blake Project, a strategic brand consultancy, he manages daily operations and serves in the delivery of brand stewardship services as a brand strategist and educator. Prior to launching The Blake Project in 2003, Derrick held rewarding leadership roles at global advertising agency leader Saatchi & Saatchi as well as at three other respected advertising agencies. He credits his focus on brand strategy with his ability to align organizations with unmet customer needs. 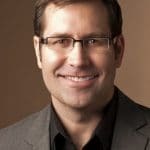 He has led and co-led the brand strategy effort for many respected brands, including Abbott Vascular, LexisNexis, FootJoy and Wyndham Hotels Worldwide. Derrick’s emphasis has been to push the limits of what an independent, strategic brand consultancy can lend toward industry innovation. In 2006 he conceptualized and launched Branding Strategy Insider to help marketing oriented leaders and professionals build strong brands. Today his vision serves 50,000+ marketers daily and is recognized by Advertising Age as the leading online resource for brand strategy and management. His quest to better equip marketers for the challenges of an over-communicated society, led to the creation of The Un-Conference: 360°of Brand Strategy for a Changing World. A unique, competitive-learning experience that features marketers competing in a team environment, working together to gain the tools and techniques needed to face the real-world marketing issues of the day. As in the marketplace, some will win. Some will lose. All will learn™. Derrick is quoted regularly in the business press in publications such as the Wall Street Journal, USA Today, Adweek, Inc. Magazine, London Times, FOX Business and has been a nationally featured brand management expert on ABC World News. Most notably, he has worked with The White House Press Corps, Coca-Cola and helped the National Parks of New York Harbor craft the Statue of Liberty’s brand strategy. In his current role as Senior Vice President of Marketing & Advertising, Frank leads all marketing initiatives for Flooring America/Flooring Canada, The Floor Trader, and The International Design Guild. 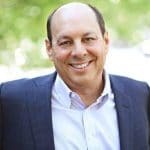 He is also responsible for developing a new business initiative within CCA Global Partners called Drive, a marketing automation platform made available to CCA members as well as independent retailers outside of CCA Global Partners. Frank comes to CCA Global with over 20+ years of successful marketing and brand-building initiatives on both the brand and agency side. He is considered an innovative and creative marketing thought leader specializing in the creation of strategic digital, traditional, and brand-building lead generation programs. Frank partnered with major brands like Zappos, Century 21, and Staples from his agency life; and held several roles of increasing responsibility with The Yankee Candle Company, a vertically integrated American manufacturer and retailer of scented candles and accessories. Additionally, Frank has worked for brands like Ace Hardware, Carpet One Floor & Home, and Key Bank, all focused on consumer marketing initiatives. Retail Brand Building Starts on the Inside will help retailers identify how and why consumers adopt retail brands. During the session, Cohen will provide detailed evidence that adoption comes by allowing consumers a pathway to connect and participate, identify the three steps that retailers can take to engage consumers in their story and discuss how successful retail brands to consumer content streaming into account. Norty Cohen is the founder and CEO of Moosylvania, a national integrated brand building agency and a member of the World Wide Partners network. The agency’s mission is to create believers, not just buyers. Moosylvania provides strategic, creative and digital media services to a variety of clients including Gallo, General Cigar and Pay Pal. Moosylvania publishes an annual top 100 millennial brands report, globally recognized since 2014. The report and its insights have been featured in The New York Times, Forbes, Ad Week, Branding Strategy Insider and Wharton Business Radio, among others. Every year, consumers choose their favorite brands and retail has continued to hold a 40% share. Norty founded Moosylvania in 2003, after a colorful career as a creative director, strategist and partner in Zipatoni, which was sold to IPG. He is constantly on the lookout for what’s next and how marketers can be ready. Norty is a national speaker, having presented his books and findings over the US over the past five years with Brand Innovator, Brand U, The Unconference, Path to Purchase Expo and the Food Marketing Conference.